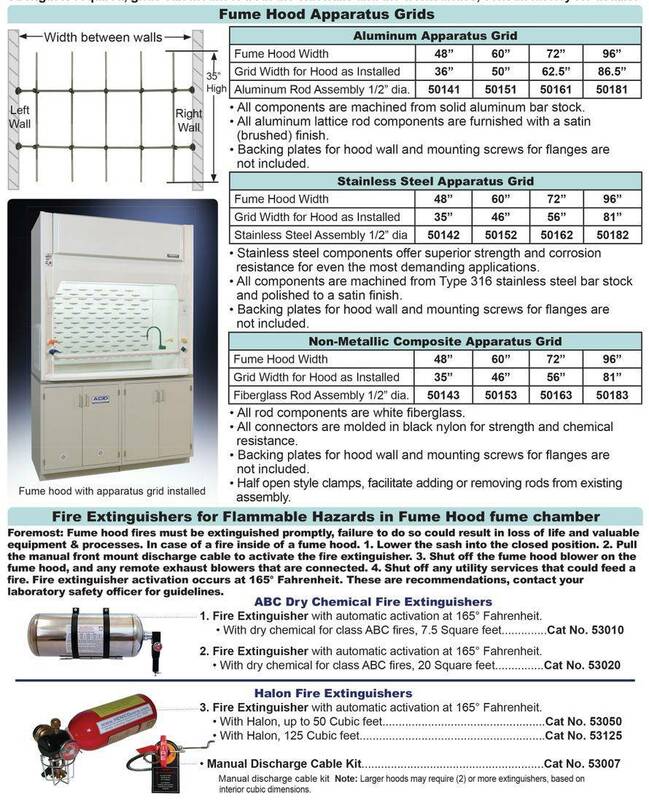 Fume hood remote control service fixtures feature epoxy coated brass, chemical resistant, color-coded, serrated hose connections, and 3/8" NPT brass valves with rod and handle assembly. Plumbing fixtures are factory installed on hood, they can be pre-plumbed if specified. Please specify service required, fixture location, and inside or outside service access panels. Conforms to ANSI Z21.15. 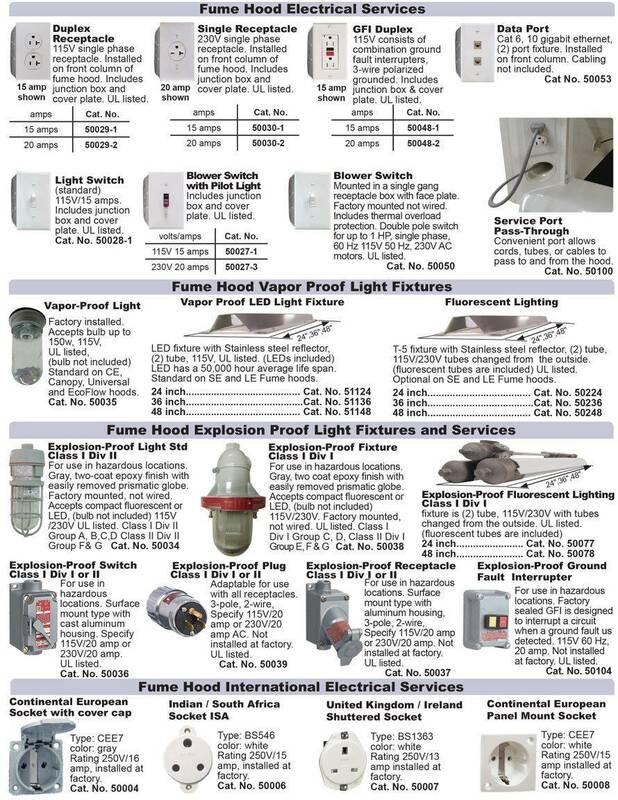 Electrical services are UL, CSA & CE approved. They come factory installed, wired to a single point junction box when ordered with fume hoods. Services must be wired to comply with local codes. HEMCO welcomes the opportunity to quote your special application. 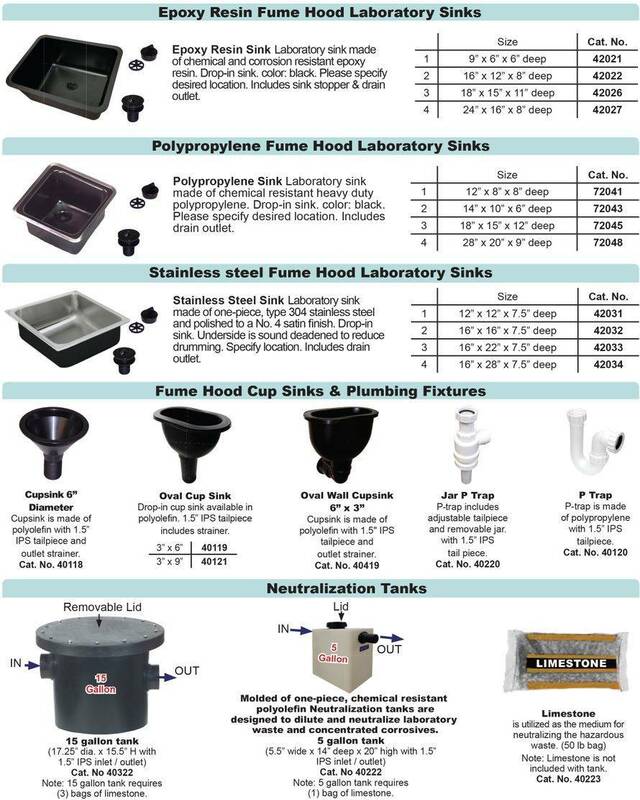 A complete line of sinks in epoxy resin, polypropylene, and stainless steel. 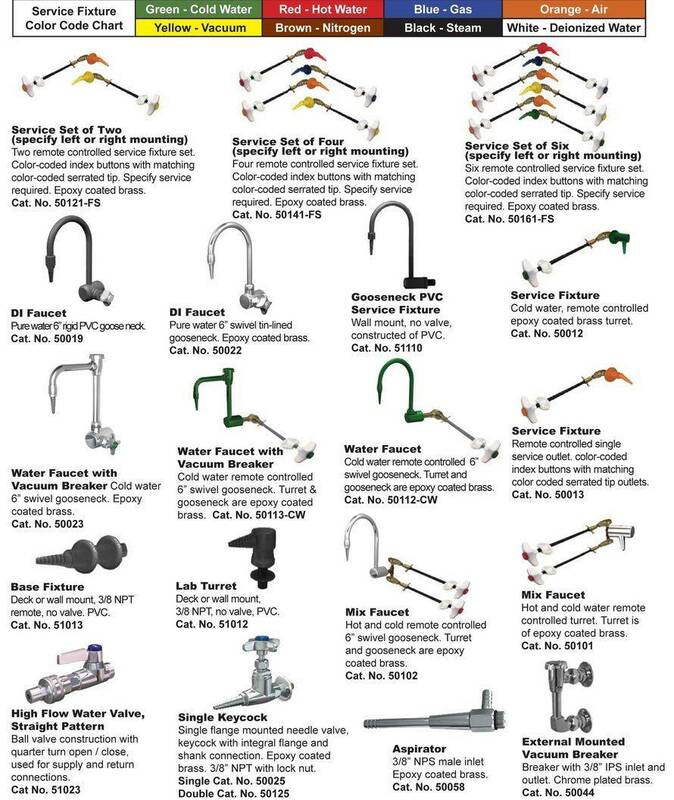 We also offer a wide variety of plumbing accessories including neutralization tanks and steam baths. HEMCO welcomes the opportunity to quote your special applications. Additional sink sizes are available. Contact factory for more details. Conforms to ANSI Z21.15. Distillation apparatus grids designed to mount small apparatus and glassware in the interior of the fume hood, maximizing the work area. Grids are available in aluminum, stainless steel, or fiberglass to meet specific needs. Mounting options: 1. Grids can be mounted to the side walls of the fume hood, 2. When more strength is required, grids can mount to both the sidewalls and the worksurface, consult factory for details.